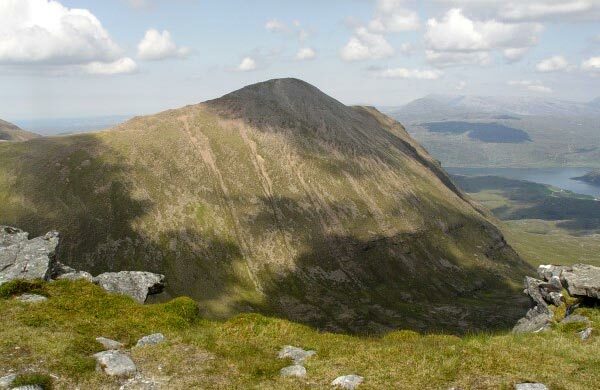 Sail Gharbh is the more northerly and highest of the three corbetts that comprise the magnificent mountain Quinag located in Sutherland. 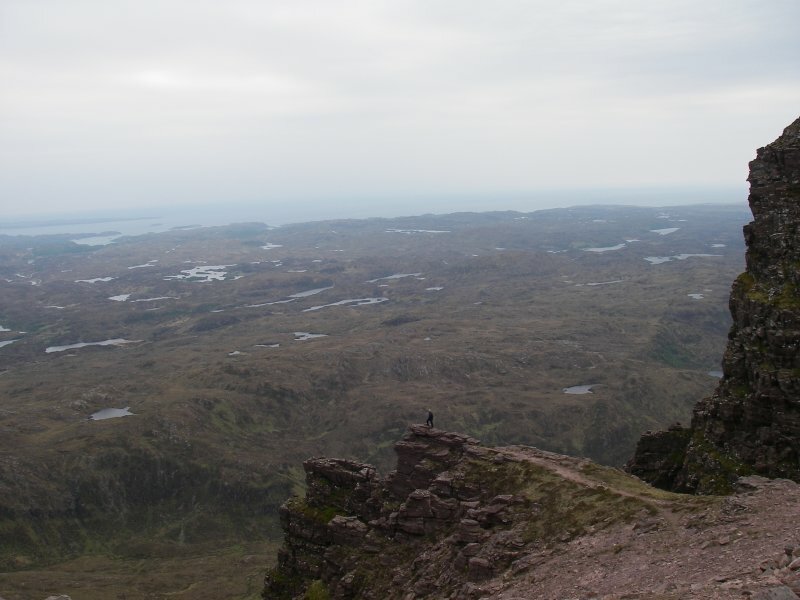 The main ridge of Quinag runs SSE to NNW, with a Corbett at either end. 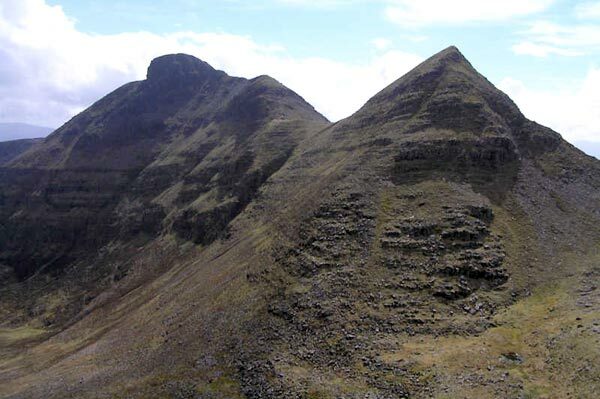 The W slopes forming a long uninterrupted wall of crags and scree, however the E slopes are dissected by two great corries to form a third ridge (NE) on which is Sail Gharbh the highest peak and the true summit of Quinag. 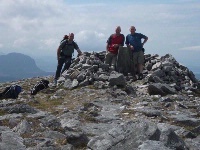 There are few easy ascents onto Quinag, the SE slopes of Spidean Coinich (Corbett), and at the heads of the two great corries being the most obvious. 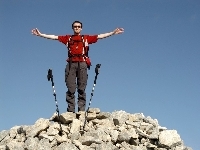 Other ascents are best left to the more experienced route finders. Quinag from Kylesku; 19 May 2012. 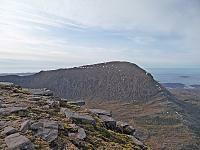 Sail Gorm from the end of the Sail Gharbh summit ridge, on the edge of the great cliffs. 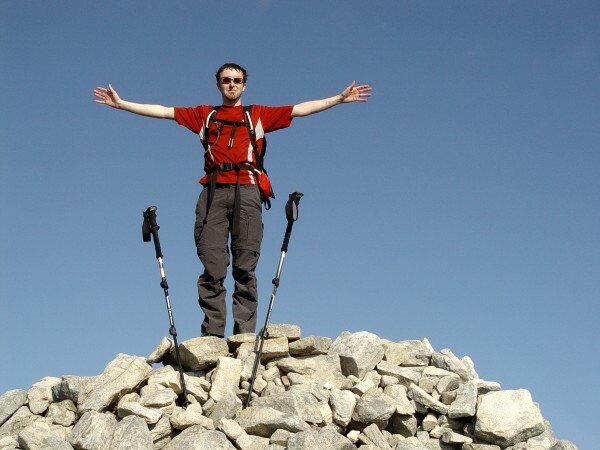 The summary information of one or more ascent routes that include Sail Gharbh. 1 1232 m 13.66 km 5 hrs Sail Gharbh, Sail Ghorm and Spidean Coinich This magnificent mountain looks quite intimidating yet it is not a particularly difficult hill as long a as you can tolerate some exposure and don’t mind using your hands occasionally. 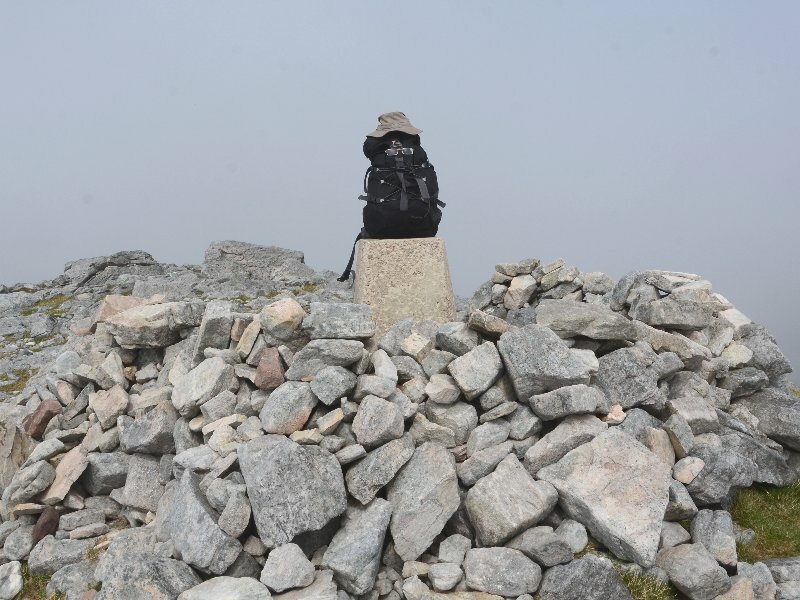 My rucksac, specs and hat on the trig point of Sail Garbh, with myself behind the camera! 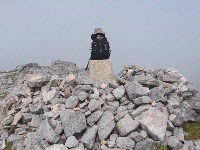 Note that the trig point is 1m lower than the summit rocks which are shown behind in this photo. How many have bagged this Corbett visiting only the trig point?!! 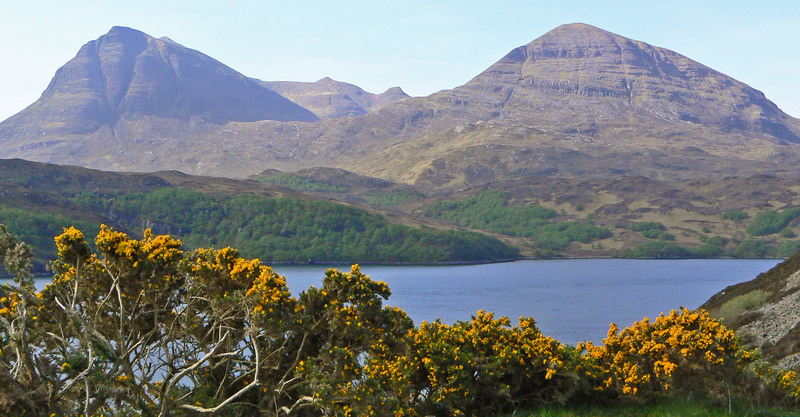 Post a few words about Sail Gharbh or read what others have had to say.